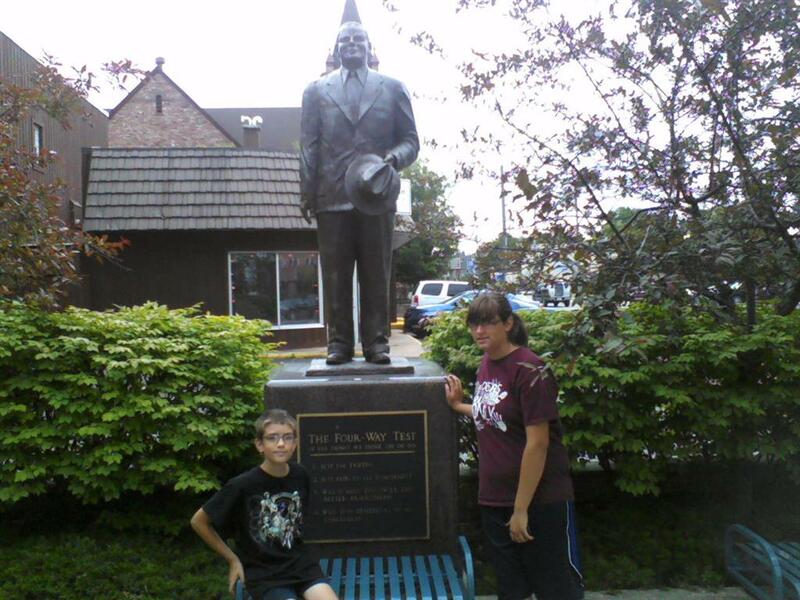 While traveling through the Upper Peninsula, We came across the statue of Herbert J. Taylor. A life size bronze statue to honor Mr. Taylor was erected by Rotary International District 6290 and the Christian Workers Foundation in the summer of 2002 at the intersection of Ashmun and Spruce Street in Sault Ste. Marie, MI. Betsy Demaray, 2000-2001 District Governor RI District 6290, headed up this effort to honor a native son of Pickford and the greater Sault Ste. Marie, MI area. It took a little over 5 years to complete the project. The memorial statue was unveiled at Rotary International District 6290's annual Conference May 20, 2001.